The Rain or Shine Elasto Painters took control of the game in the second half to win Game 1, 84-77. They jumped out to a 1-0 lead in their best-of-seven Semifinals series over the Magnolia Hotshots. The Elasto Painters were on fire to start the game. Kris Rosales scored six points in a game-opening 10-0 run to push his team to the lead. But the Hotshots quickly recovered. Paul Lee led Magnolia to a counter 10-0 run to tie the game back up. The Hotshots were the ones that maintained momentum from their blast. Magnolia continued to attack, taking the lead away from Rain or Shine in the second period after two free throws from Jio Jalalon. The Hotshots took a four-point lead heading into the half and were able to double it early in the third period. In danger of losing, the Elasto Painters banded together and found the rhythm they had early in the game. Rosales teamed up with Rey Nambatac to push Rain or Shine ahead with another 10-0 run. It was at that point where Javee Mocon came alive. The rookie scored on a floater to push his team’s lead up to six. He then scored on two free throws and a turnaround jumper to complete a personal six-point blitz to put Rain or Shine up eight. 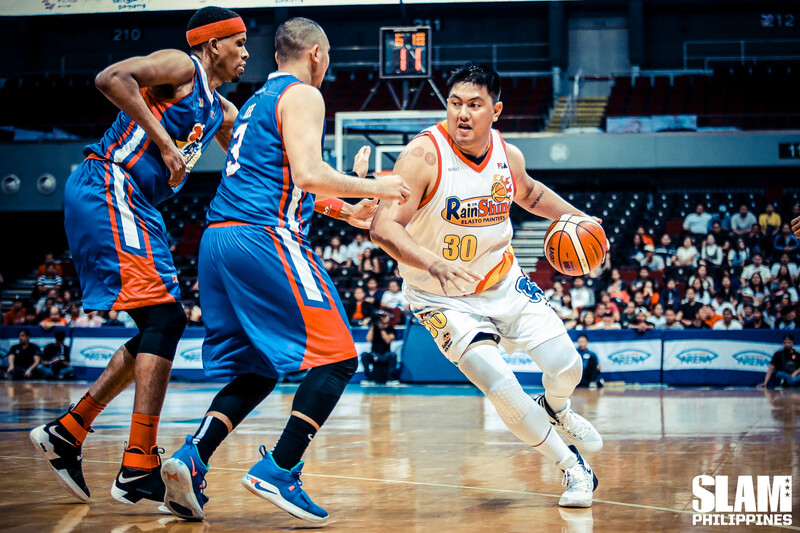 In the fourth quarter, the veterans, Beau Belga, Gabe Norwood and James Yap pushed Rain or Shine’s lead to 10 after a 9-0 run. Magnolia was only able to get as close as seven points after that. Mocon played like a veteran in his first Semis appearance. He led the Elasto Painters with 15 points and 10 boards. Norwood add 13 points and eight rebounds while Belga contributed 12. Lee led the Hotshots with 15.